The biggest question on the minds of everyone who follows Toronto FC is who are these Designated Players that Tim Leiweke has promised will be signed come January? Who will be the players who are supposed to bring new excitement to BMO Field and allow us to forget about seven long years of suffering? Rumors have mentioned as much as 26 million dollars being put into this effort and Toronto FC management flying to Europe to talk to players in both England and Italy. The assumption is these players are currently on an English Premier League or Italian Serie A clubs and it has also been mentioned they might not join the Reds until next summer as they will be participating in the 2014 World Cup. When the Diego Forlan rumors were rampant there was plenty of talk of how he would fit into the team and I wrote an article saying that if the Forlan rumors were true we would have to sign another high profile player that he can play with and mentioned a few players including Simao and D'Alessandro. I'm encouraged the club feels it will take more than one high profile DP, or quality player, to make a difference. Based on the available money the options could fit almost 90% of players in the world depending on if the club wants to pay a transfer fee and how long the proposed contract will be. For example, Clint Dempsey’s new deal with the Seattle Sounders was a reported $33 million dollars with $9 million going to Tottenham, and Dempsey getting $6.8 million a year for four years, with less in 2013, as he joined the Sounders midseason. It might be disconcerting that all the money could be spent in one go, although under this contract Dempsey is likely one of the top 100 players paid in the world of soccer. So let’s throw out some names. Staying within the EPL and Serie A here are some big names who fit what Toronto FC is looking to acquire. Will they come is another questions as beyond footballing skills, priorities such as family and wages, all play a major role in players moving from one league to another. Pirlo has been on the minds of many including fellow RNO writers. Pirlo will be 35 years old next summer after probably playing some role with the Italian team during the 2014 World Cup. No question he is a great player with over 600 games for his club teams including Inter, AC Milan, and Juventus. He also has played over 100 games with the Azzurri. Pirlo would also greatly improve Toronto’s on field performance based on his passing and dead ball accuracy and another great selling point for a player of his age is he's been healthy the last three seasons. On the negative side, is Pirlo motivated to move? He has two children under ten and owns a vinyard in Italy. He is only making a reported 3.5M euros a season currently but is also worth an estimated 30M euros, so a two year contract at 10M US might entice him, but even then I'm afraid the chances of convincing him to sign are very slim. Adebayor is the other name that has been a popular piece of discussion. He is a player who is interesting because of his skill level but also his controversial personality. There is no question that when Adebayor is motivated he is great player, scoring 160 goals in Europe playing for clubs such as Monaco, Arsenal, Manchester City, Real Madrid and Tottenham Hotspurs. 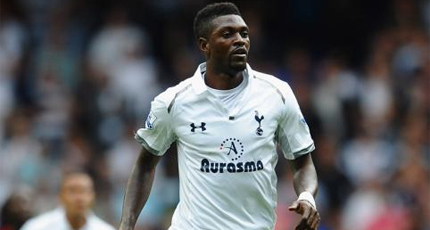 Currently Adebayor is out of the first team squad at Tottenham. He has had some back and knee injuries but mostly he's been the odd man out as Tottenham have a brought in a number of new players. I think he would be an exciting addition to the MLS but also a risk similar to Seattle’s other new signing Obafemi Martins. Adebayor would be very expensive as he currently on a 10 million euro a season contract that lasts till 2015. The big talk last summer was if Frank Lampard was going to sign with the LA Galaxy after much discussion that he was no longer needed at Chelsea. He answered his critics by scoring 15 goals in the Premier League and signed a new one year contract. A one year contract means he is also available for a free after this season and although he is one of Mourinho’s favorites, the club brought in a number of midfielders so Lampard could see himself slowly becoming less of an impact component. This would be the shock signing that would deliver Leiweke promise, not only to the Football World, but also to other clubs in the MLS. 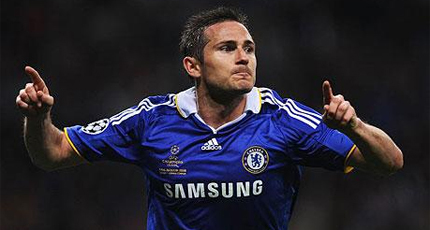 On the pitch Lampard has 245 goals in 815 games, 618 with Chelsea and also has 100 caps with England. I believe he would also make an impact in MLS because his goal scoring and playmaking doesn't rely on speed so age shouldn't be a factor. The issue is you might have to give 8-to-10 million a season since he is engaged to a television broadcaster in England who probably doesn't want to move and Lampard himself has turned down the MLS in the past. Another name rumored coming to the MLS for a number of seasons. Certainly on a downward swing, he should still have the skillset in MLS that made him a scoring and play making threat before his move to Real Madrid. 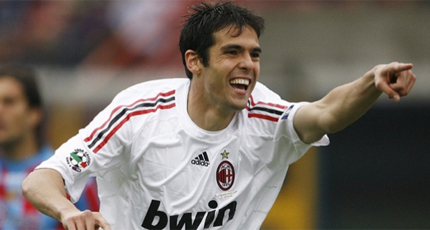 The 31 year old midfielder has scored 170 goals in 500+ games, including 95 goals in 270 game with AC Milan. He re-signed for AC Milan this summer at $5 millon US, although has only played one game with the team so far. Despite his contract lasting to 2015 he might be allowed to leave on a free and like Lampard, MLS might have already had discussions with him about joining the league. This being said, over the past few years most Brazilians, once their European career seems to be finished, they have chosen to return to Brazil. Cassano has had his ups and downs although arguably he has been in better form at the later stages of his career than when he was younger. The 31 year old Italian has scored over 100 goals in over 400 games on a number of teams in Italy including Roma, AC Milan and Inter Milan and also had a short spell at Real Madrid. He also played 35 games with the Italian national team, with his last game in 2012, so he will probably not be a part of the 2014 World Cup side. A fiery competitor has been red carded on a few of occasions so not sure how well he will handle MLS referring, or his fellow players not playing to his ability. Contract-wise Cassano could fit and should be able to be signed at 3/4 million US a season as he is also out of contract this summer. I know it’s unfair to join to these great players as one but both have a number of similarities that fit Toronto FC’s needs. 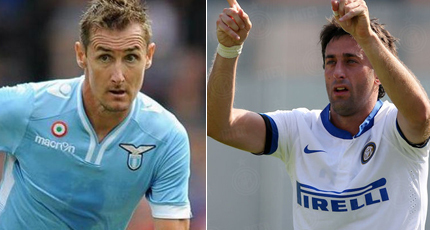 Both will be free agents this summer and both players are currently on around 4 million US a season while playing in the Italian Serie A, so it could be argued despite their success neither player has received their big pay day yet. Klose is a 35 year old German who has scored 200 goals in 500 games between the Bundesliga and Serie A and also played 130 games with Germany. Milito is 34 year old Argentinan with 235 goals in 521 games in Argentina, Spain and Italy and has played 25 games with the Argentinian National team. However, like Pirlo, both players have young families so it is unknown if a few million dollars more a season will entice to come to North America. A name that I haven't heard mentioned in the rumor mill, but we are talking about the top players in the world, and Berbatov fits what Toronto FC require the most: a big name proven goal scorer. Although his style is regarded as lazy, his awareness of the game could make him the first MLS player to score 30 goals in a season. The 32 year old has scored 253 goals in 564 games in Germany and England as well as 48 goals in 78 games with Bulgarian National Team. 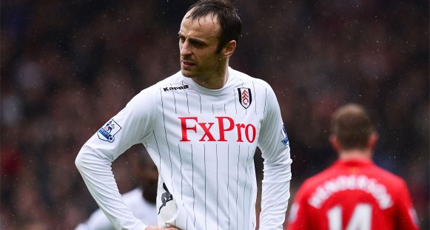 Berbatov is out of contract at the end of this season and is currently making around $6 million US a season. If Toronto was to offer a comparable contract for three seasons it would still give them a decent amount of money to bring in a proven provider in the attacking midfield, maybe fellow Fulham player Damien Duff. When Anzhi decided to sell off their whole team after losing the first couple of games during the season I tweeted that the MLS should make an approach for Samual Eto'o. The 32 year old Cameroon striker has scored 288 goals in 544 games, and another 55 goals in 112 international caps, signed for Chelsea but only on a one year contract and could be available next summer. 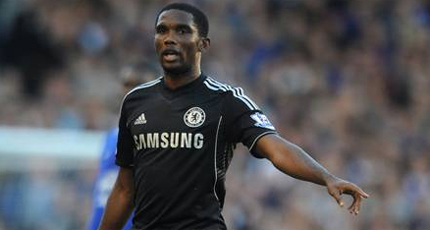 Eto'o has an advantage over the other players that I mentioned as he is a regular for his national team, which might have been one of the motivating factors for Beckham and Keane doing well in the MLS as they have something else to play for. The only issue with Eto'o is his salary expectations as he is currently on around $10 million a season and would be a big chunk to all of Toronto’s money, but he may also be the big name to keep the fans happy. This signing would be out of leftfield, but in other ways makes sense. 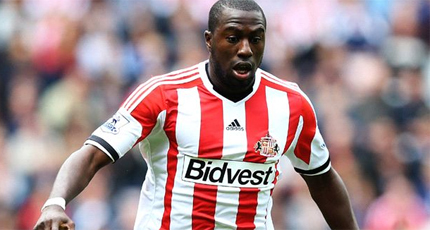 It seems Sunderland are already heading for relegation and while Altidore has proven he can score in the smaller leagues in Europe, he has struggled to make an impact at the top level. As I wrote in my last article he could be the perfect fit for the new MLS and potentially be a career player for the club he joins scoring double digit goals for the next 10 years. There would be a rather large transfer fee for him since Sunderland paid 10 million euros for his services and he probably expect at least $4 million US a season. I don't think Toronto FC could make a stronger statement regarding their wish to be a competitive force in the league for many years to come. So far I have mentioned players who should be well known to most soccer fans and because of this they are making a decent wage with their current club. 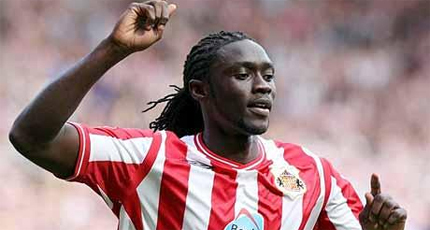 Kenwyne Jones doesn't have the following but does have some attributes that would make him a good fit for the MLS. First he is from the CONCACAF region, playing 57 games with Trinidad & Tobago, he is younger at 28 and although he doesn't have the goal totals, his physical ability should make him a consistent goal scorer in the MLS. He is also a free transfer this summer and you might be able to sign him for under $3 million a season. You could also sign him to a long term contract and if he wishes to return to Europe you could get a transfer fee for him. 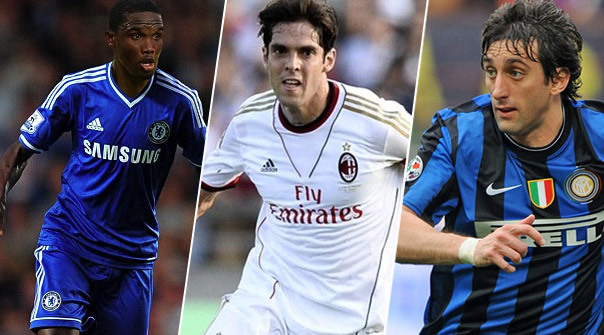 Other players who fit the critera of EPL/Serie A known names and within the budget constraints include upcoming free transfers Damien Duff, Nicklas Bendtner (Arsenal), Esteban Cambiasso (Inter), Tomás Rosicky (Arsenal), Craig Bellamy (Cardiff) and Joe Cole (West Ham). Personally I wouldn't restrict myself just to the EPL and Serie A and feel you could accomplish more trying to get 8-10 players in the $200,000 salary range than a high priced DP to improve the overall quality of your MLS club. That being said, I understand the objective of getting a well-known player to reinvigorate the fan base and prove to the rest of the league that you are willing to do whatever it takes to be a top tier team in this league. When dealing with players in this age group, through the analytical work I've done over ten years of analysis on each listed above, I know their strengths and weaknesses and no player is perfect. Although all players above would improve the quality of MLS, but as always when signing new players Toronto FC has to ask themselves is this player going to perform on the pitch, will the player be motivated to play and will his presence make the team significantly better because at the end of the day it’s all about wins, points and championship.